I had a little harmless fun today on Facebook by posting the following statement: "'Craft Vodka' is an oxymoron." Simple trolls are best because they allow people to respond with their pet prejudices and most practiced arguments, with little regard for the subject of the original post. With a simple troll, many commenters just free associate. It can be entertaining and sometimes illuminating. The best part about this one is that everybody missed the point. 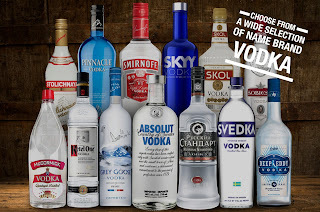 'Craft Vodka' is an oxymoron, not because of the word 'craft' but because of the word 'vodka,' which is nothing more than a fanciful name for ethanol or, rather, ethanol diluted with water. Ethanol is a type of alcohol, the type we drink. The typical 80° proof vodka is 40 percent ethanol, 60 percent water. There is ethanol in whiskey, of course, but whiskey (or tequila, etc.) isn't pure ethanol, which is what vodka is supposed to be. This is not to say all vodkas are identical, anymore than any two glasses of water from different sources are identical. Humans can detect extremely subtle flavors and especially aromas, so the idea that some vodkas taste better than others is not fantasy, although what craft there is to it has more to do with filtration techniques and materials than anything else. With something like beverages, a skilled craftsperson can make a product that is better than what can be mass-produced. The pertinent question is how much better and at what cost? There is, however, one drink that a factory can almost always make better than a craftsperson and that's vodka, because the making of ethanol is a highly developed industrial process. If the goal is ethanol that is as nearly pure as can be made, you want a machine to make it. There is one form of vodka that is, or at least can be, genuinely craft and that is flavored vodka. There the craft isn't in making the ethanol, it is in flavoring it. Gin, for example, is an example of a flavored ethanol product. I made gin once, at one of the big producers. I climbed up to the top of a huge tank of ethanol and poured in about a quart of 'gin essence' purchased from a flavorings house. Voila, I made gin, thousands of cases of it. There wasn't any craft in it, of course. The craft in gin-making, and vodka-flavoring, is in how one selects and processes the flavoring ingredients and how one infuses them into the spirit. That is a real craft requiring creativity, skill and experience. 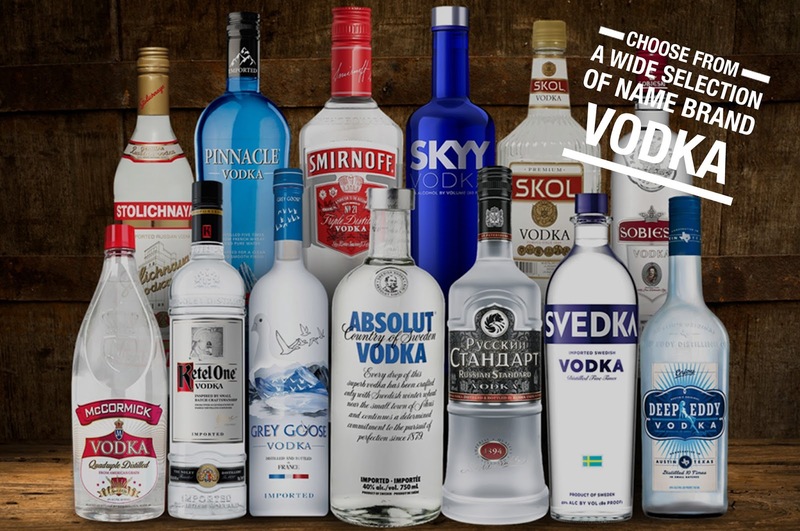 Vodka is a great way to put alcohol into a drink that gets its flavor and character from its non-alcohol ingredients, but it is not so much a drink itself. It is an alcohol delivery system. Vodka is also a great vehicle for embodying a particular self-image in a consumer product. That explains why there are so many different vodkas at such a vast range of prices. Get some ethanol, do perhaps some filtering to remove any lingering unpleasant flavors or aromas, then package and market it based on the simple premise of giving people what they want. Maybe you call it 'moonshine.' Maybe you make it in France, from grapes. Maybe you put it in an elegant bottle, give it an exotic-sounding name, and charge a ridiculous amount of money for it, some of which you pay to a suitable celebrity to endorse it. Since vodka is cheap to make, the money can be spent on marketing. Very few people distill vodka themselves. Most buy it from one of the huge producers who simply make ethanol, some of which is used for drinks, some for medicine, some for fuel, etc. Even the big liquor companies like Diageo and Beam-Suntory don't distill the ethanol they use for their vodka, gin, and liqueur products. They buy it like they buy sugar or any other commodity. The companies that make it all seem to have names that consist of three initials: like MGP, ADM, and GPC. Most vodka is made from corn (maize), which is why it can be labeled 'gluten free.' Other cereal grains can be and sometimes are used, whatever is cheapest at any given moment. A synonym for ethanol, common in the beverage world, is 'neutral spirit.' U.S. law requires products that contain neutral spirit to identify the source of the spirit, so ethanol made from corn is 'grain neutral spirit' (or 'neutral grain spirit'), ethanol made from sugar cane is 'cane neutral spirit' and so on. Although ethanol can be refined to 100 percent purity, destroying every trace of the ingredients from which it was made, ethanol likes water too much to stay that dry for long. It quickly absorbs moisture from the atmosphere and stabilizes at about 96 percent. The regulations call it "at or above 190[deg] proof." Then, of course, water is added by the producer to dilute it to, typically, 40 percent. The last time I wrote this much about vodka was last fall when I wrote about Tito's. As of today, that post has gotten 553,884 page views, my personal best. Labels for beverage alcohol products must be submitted in advance to the Alcohol Tax and Trade Bureau of the United States Treasury Department (TTB). 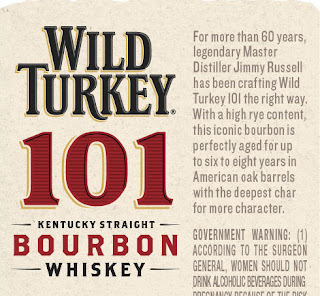 The image above is of a recently-approved Wild Turkey back label. 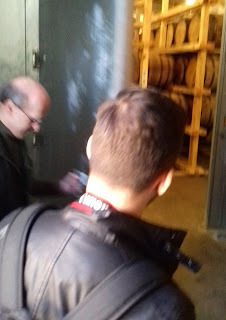 Labeling watchdog Wade Woodard discovered it and did an awesome detective job, getting both TTB and Wild Turkey parent Campari on the record about the label's questionable statement about ages. You really should read his account, which can be found here on his 'Tater-Talk' blog. The gist: Since this whiskey is more than four years old, an age statement is not required. If, however, a statement about ages is made it must be truthful and in the standard form, which is "this whiskey is ____ years old," or one of several acceptable variations of that sentence. If the product contains whiskeys of different ages (as most do), its official age is the youngest liquid in the bottle, except that the age of each component whiskey can be given if the percentage of each is also stated. Wild Turkey's wording, "...this iconic bourbon is perfectly aged for up to six to eight years...," would seem to be non-compliant, but Wild Turkey found a loophole. The rules provide that labels "not required to bear a statement of age ... may contain general inconspicuous age, maturity or similar representations without the label bearing an age statement.” By that analysis, Wild Turkey's statement about age isn't an age statement, it is an 'inconspicuous representation' about age. When brands have made 'inconspicuous representations' about age in the past, it has been with phrases like 'fully matured' or 'extra aged.' They have eschewed numbers. Sneaking numbers in is the new trick Wild Turkey has pulled off. Although all this may be legal, it rubs Woodard the wrong way. Me too. It tells you nothing. It is as if they put "this whiskey might be six to eight years old" on the label. They might as well say, "hey, it's possible some 8-year-old whiskey found its way into this bottle, but who the hell knows?" All you really know is what you already knew from the absence of an age statement, which is that the whiskey is least four years old. But many consumers will read it as the whiskey is between six and eight years old, even though it actually says no such thing. It is much like a trick Wild Turkey pulled about 25 years ago when it took the words '8 Years Old' off the label and replaced them with 'No 8 Brand.' Many others have used the same trick when they dropped their age statements. One can also dispute the new label's claim that Wild Turkey bourbon has a 'high rye content.' The Wild Turkey bourbon mash bill is 75 percent corn, 13 percent rye and 12 percent barley malt. That is more rye than Jack Daniel's (8%) but less than Jim Beam (15%) and way less than Old Grand-Dad and Bulleit (each about 30%). In general, it is bad practice for brands to trick or otherwise mislead consumers. It undermines trust. The terminology and rules are already confusing enough for consumers without muddying the water and making things worse. Wild Turkey has always been well-regarded among whiskey fans and Wild Turkey master distillers Jimmy Russell and Eddie Russell command enormous respect. It is unfortunate that the brand's marketers have decided to disrespect their consumers in this way. 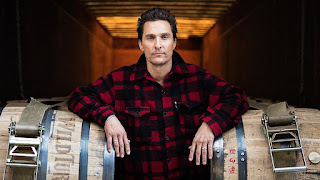 Since actor Matthew McConaughey is now Wild Turkey's 'Creative Director,' this probably is all his fault. Can Maturation be Slowed Down for Extra-Old Whiskeys? an unexpected sight, a huge silver door. What could it be? What's this? 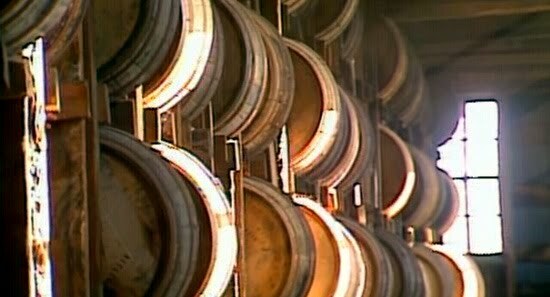 Whiskey barrels? In a giant refrigerator? What happens when you age whiskey for more than about 15-years in a conventional Kentucky warehouse? Most of it goes to heaven. When distilleries harvest their oldest barrels, many come out dry. The rest contain a mere fraction of what went into them originally. But what is left often can be sold for hundreds, even thousands of dollars a bottle. 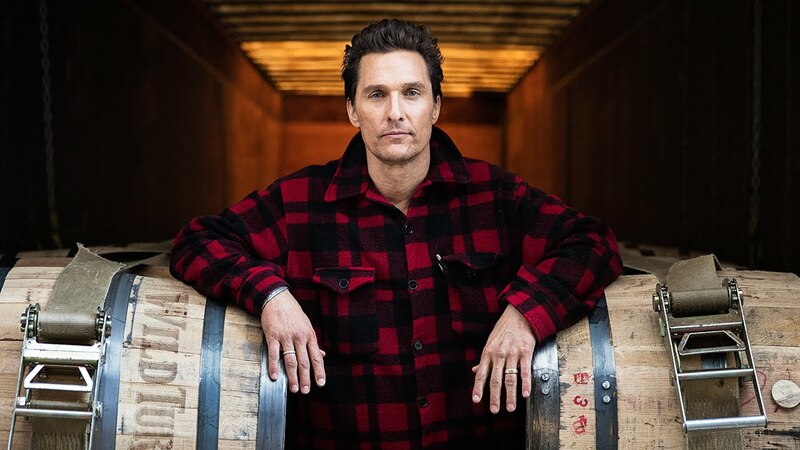 It is no secret that barrels for products such as Pappy Van Winkle Bourbon come from the lowest, coolest parts of the warehouse, where they age slowly. In Scotland, some whiskeys are aged for 50 or 60 years, to great acclaim. Scotland is a much cooler climate than Kentucky. What if you could change that? 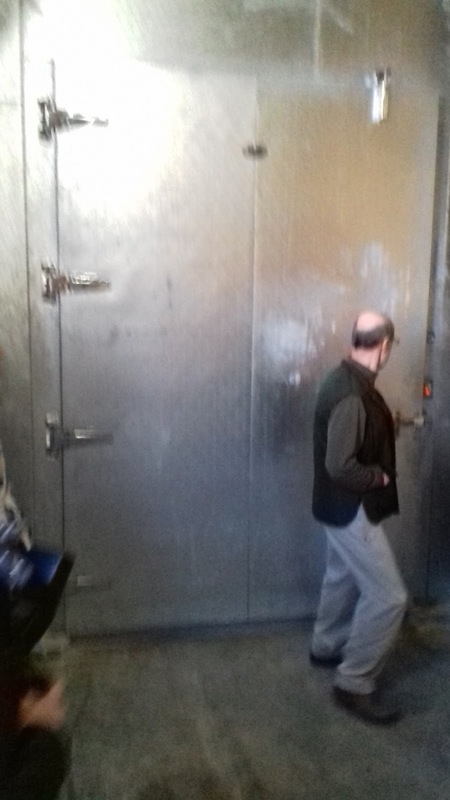 Such as by storing barrels in a warehouse that is held, year-round, at a constant temperature of 45℉? It is just an experiment now, but the new refrigerated warehouse at Buffalo Trace can hold about 400 barrels. 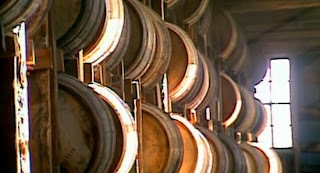 Some of the barrels in it now already have a few years on them, others are newly filled. Forty-five degrees is pretty chilly, and keeping the temperature constant means there is no cycling, the heating and cooling process that keeps liquid moving through the wood, where it picks up sugars and other goodies. What if, at 45℉, nothing happens? "Then we'll try 50℉," says Sazerac CEO Mark Brown (pictured). 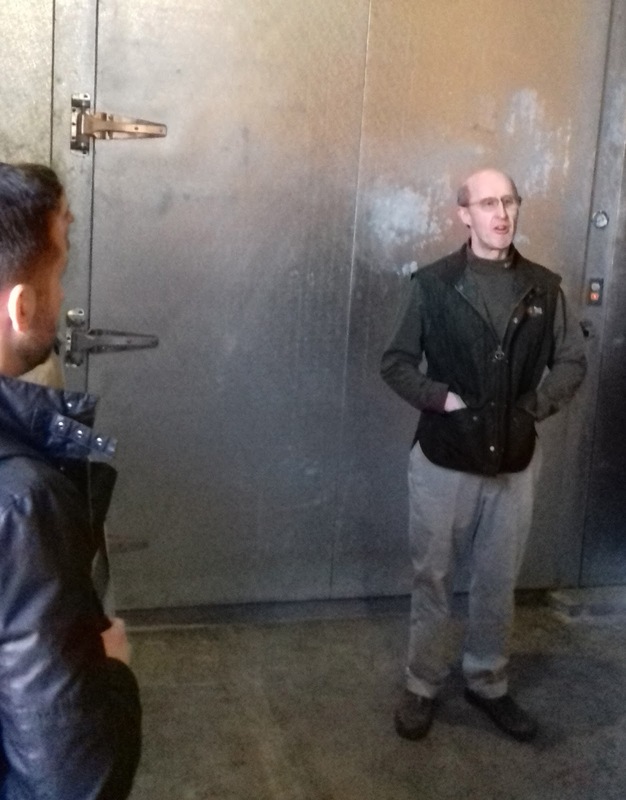 Research conducted elsewhere on the Buffalo Trace campus, at the experimental Warehouse X, has shown that the temperature in an unheated Kentucky warehouse can range from -5℉ to 105℉ over the course of the year. All of the new warehouses Buffalo Trace is building are insulated and heated. 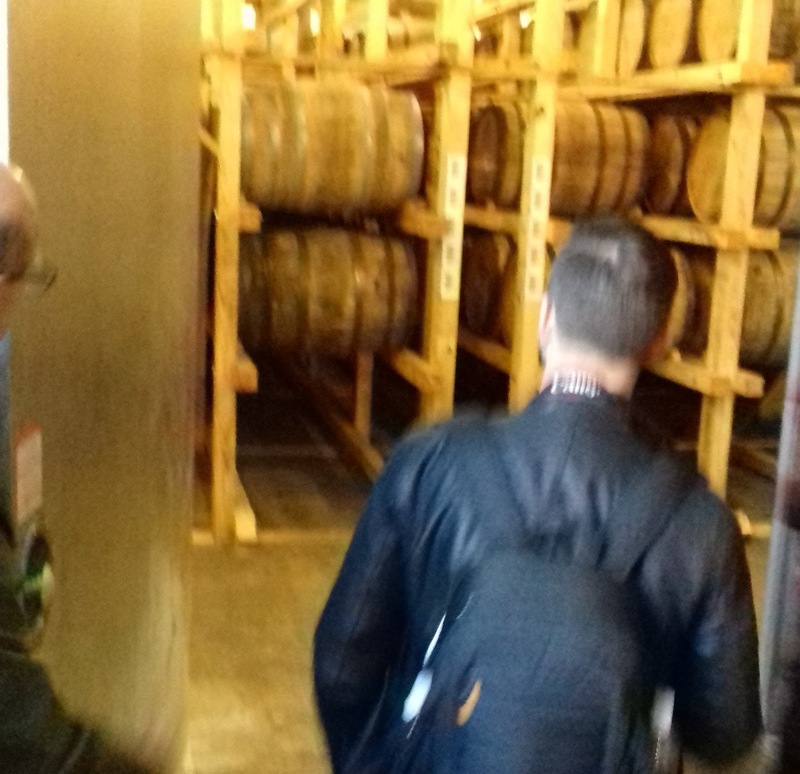 In Warehouse P, they're going the other way, holding the maturation process back as much as possible. Rest easy, little darlings. Rest easy. Unwelcome as it is, China’s tariff on American whiskey won’t cause much damage. Exports are important to America's whiskey producers. The United States exported $1.63 billion worth of distilled spirits products last year, most of it whiskey, most of it from Kentucky and Tennessee. Less than $9 million of that came from China. Naturally, whiskey producers would be happier with no tariffs. They would rather hear that China has dropped its existing 10 percent tariff on imported whiskey and opened up even more. China is a vast and largely untapped market for imported luxury goods such as whiskey. The industry has been talking about it for more than a decade, but not much has happened. A brief Cognac boom was stifled by President Xi Jinping’s anti-corruption drive. China's domestic spirits industry is booming. This budding trade war certainly won’t help American whiskey producers, but Kentucky will feel more pain from the soybean tariff. Much more significant for whiskey producers would be retaliatory tariffs by Canada, the United Kingdom and the European Union. Canada is the biggest foreign market for American spirits at $198.2 million in 2017. Throw in our other NAFTA partner, Mexico (#9), and it’s $242.8 million. The U.K. is ranked second at $177.9 million. The five largest E.U. countries combined contribute $452.1 million a year. Those three trading blocks alone account for more than half of U.S. export income from spirits. Pressure on sales to those places will hurt and hurt right away. But even there, with supplies as tight as they have been these last few years, some easing of export growth might be welcome, at least in the short term. It would give producers some breathing space and allow them to build up inventories and pay a little more attention to the domestic market. It might lead to better retail availability at home and maybe even some price moderation, both of which would be welcomed by American whiskey enthusiasts, if not by producers. Isn’t that what ‘America First’ is supposed to mean, after all? Longer term, and across the whole economy, tariffs and trade wars are mostly bad. The hit will fall hardest on American consumers but many U.S. businesses will suffer. Many Americans will lose their jobs. For producers and consumers, the United States always does best in open markets. That is an opinion, of course. You may consider me a free trader. The desirability of open markets is even more clear with bourbon whiskey and Tennessee whiskey, because they must be made in the United States. They are products the world wants and wants now. We can’t miss our moment. Anything that makes it harder to satisfy worldwide demand for American whiskey is bad. But if there are tariffs, we will deal with them, and try to make the best of it. When life hands you a lemon, you might as well make a whiskey sour. Me and Ray in 2000. Photograph by Marc Pokempner for the Chicago Reader. 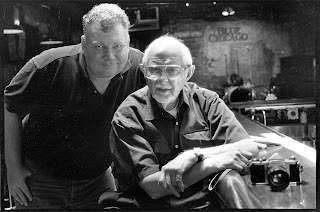 My personal history with the photographer Ray Flerlage began 30 years ago at the Chicago History Museum (CHM). I was doing photo research for Donna Lawrence Productions and thought CHM would have a big collection of blues photos. They didn't. "You want Ray Flerlage for that," the archivist told me. I called Flerlage. At first he wasn't cooperative. I learned later that he was depressed. I persisted and it turned out the attention and interest in his photographs was exactly what he needed. His renewed enthusiasm about his own work led, in 2000, to publication of his book of photographs and remembrances, Chicago Blues as Seen from the Inside. Lisa Day, a renowned film editor ('Stop Making Sense,' 'Hail, Hail Rock 'n' Roll'), discovered Ray's work while editing Martin Scorsese's Eric Clapton film, 'Nothing But the Blues.' Day was the driving force in getting Ray's book published. 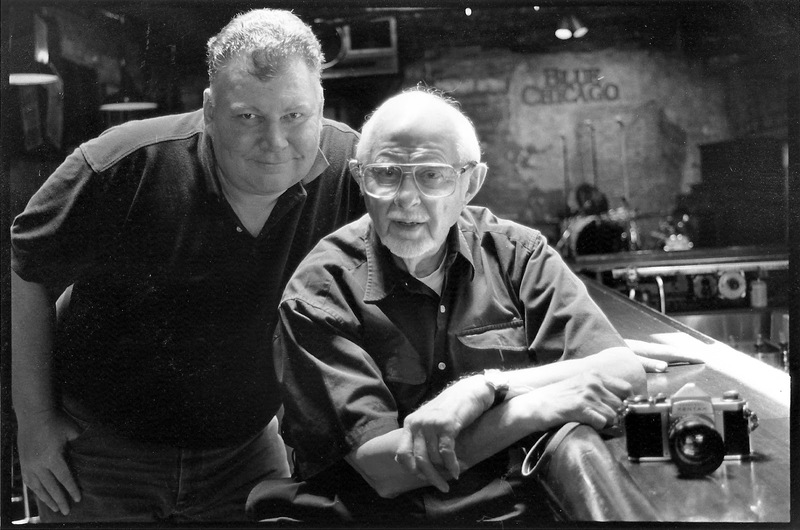 My smaller contribution was with my own 1995 book, Blues Legends, which also featured Ray's photographs extensively. With publication of his book, Ray learned that he had inspired an entire generation of young photographers, including Marc Pokempner, who took the one above. 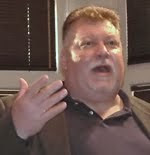 Ray had mobility issues and didn't like to receive guests at his South Side home, so I generally took him wherever he needed to go, such as book signings. For interviews he liked Valois, a modest Hyde Park restaurant also favored by President Obama. Ray died in 2002. His wife, Luise, died one month later. Her nephew was responsible for the estate. I made some suggestions about the collection (the Smithsonian was interested), but eventually lost contact with him. Recently, I was delighted to learn that, in 2016, CHM acquired the entire collection of 45,000 images, shot from the late 50s through the early 70s, as well as Ray's papers. Sometimes things work out exactly as they should. The production of whiskey and other distilled spirits has a significant impact on the environment. Distilleries use a lot of water and energy, and generate a considerable amount of waste. Environmental sustainability is a constant challenge for producers. MGP is a leading U.S. supplier of premium distilled spirits and specialty wheat proteins and starches, best known by readers of this space for its whiskey distillery in Lawrenceburg, Indiana. MGP has embarked on a major renewable energy initiative, to source 100% of its electricity needs from renewable wind power, which is abundant in MGP's home state of Kansas. The three-year agreement is with Westar Wind, a Green-e certified program offered by Westar Energy. As a result, total electric usage at MGP’s facilities in Atchison, Kansas, and Lawrenceburg, Indiana, will be offset by green energy provided by Westar’s wind resources in Kansas. Under the agreement, which can be renewed at the end of three years, MGP will purchase renewable energy credits from Westar. Wind energy equal in value to the credits will then be sourced from wind farms in Kansas and added to the overall energy grid system. This arrangement makes MGP the largest Westar customer to commit to 100 percent renewable electric energy. As a Green-e certified program, Westar Wind is committed to delivering reliable, affordable, safe and clean energy to consumers. Green e Energy is the nation’s leading certification program for renewable energy. For nearly two decades, Green e Energy has provided oversight for voluntary renewable energy transactions in North America.